GALLERY: The Langara Falcons defeat the Red Deer Kings 88-86 to win gold in the 2014 CCAA men’s basketball national championship held at Quest University on Mar. 15, 2014. Langara Falcons huddle up before the championship game. Langara guard Brody Greig slams it down on the breakaway. Langara fans cheer on for their Falcons. 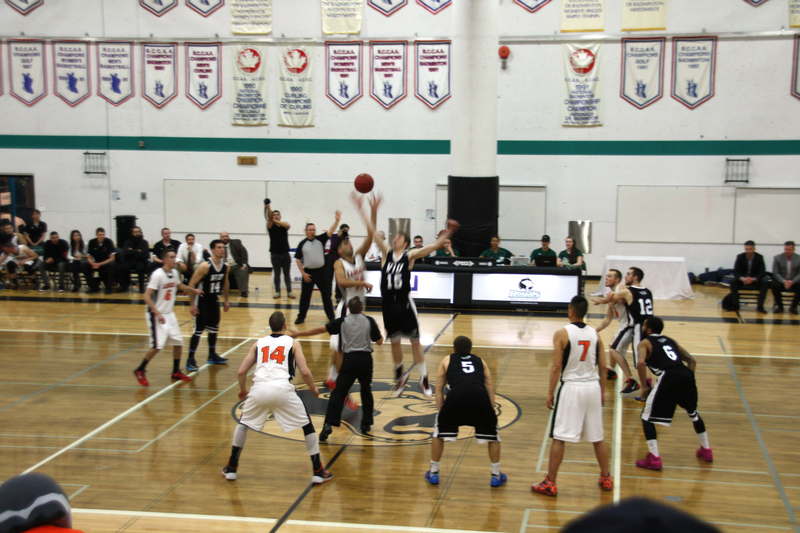 Langara guard Brody Greig draws the Red Deer defense to hit the open Jitinder Lohcham. Langara forward Garrett Ling-Lee lays one up on the fast break. The Langara Falcons show off their championship gold medals and trophy. 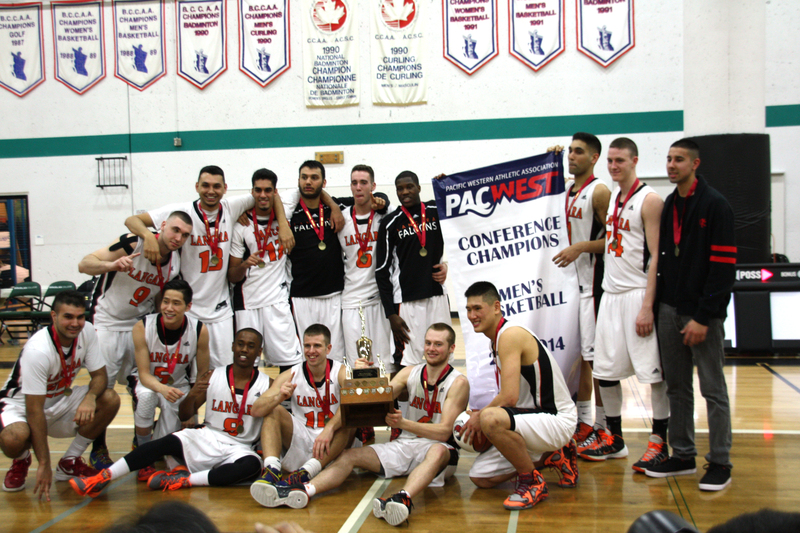 Langara Falcons win back-to-back PacWest provincial basketball championships. The Langara Falcons are heading to nationals after defeating the Victoria Island University Mariners 90-84 to win the PacWest provincial basketball championship for a second consecutive time. The Falcons returned to the provincial finals March 1 after a nearly perfect regular season, finishing 20-1 to tie the PacWest record they set last year. Langara’s reigning provincial champs opened the weekend at Douglas College with a 97-76 win over the Capilano Blues in the semi-finals before taking on the 2013 Canadian Collegiate Athletic Association national champions. In the provincial gold medal rematch against the VIU Mariners, the Falcons stormed out to an early 12-point lead. Brody Greig weaved past the defence in the first quarter to score eight of his 33 points. Greig finished with eight rebounds, five assists and the honour of tournament MVP. Despite poor shooting in the second quarter, Langara held onto the lead until VIU gained momentum in the last five minutes of the first half. The portfolio of Langara College graduate Karly Blats. This is the portfolio of Erin Boe, journalist and autistic.